When I was loading up the mares after our stay at the ranch, John made some comment about Fancy in comparison to Ginger as he was closing the trailer door. I think he mentioned how much she looked like Ginger. I didn’t catch it all and didn’t ask him to repeat it. Although he said it out loud, it wasn’t really spoken to me. It was his moment and I left him with his thoughts. When I was going through my photos from the weekend, this picture of Fancy caught my eye. It wasn’t necessarily a good picture; her ears were half-cocked among other things. But when I saw it, I knew exactly what John was talking about that day and started going through the archives of the pictures on my hard drive. This picture here was what I was searching for. Oh, you could pick it apart. Their heads are different shaped; Ginger had a star and a snip where Fancy has a star and a strip. Not shown in this picture, Ginger had a sock on the back foot where Fancy just has a little white on the front coronary band. Fancy is close to 15.2hh where Ginger stood only 14.3hh. Although Ginger and Fancy are both sorrel and in certain pictures taken at a distance, I sometimes have to look at the date to tell which one I am looking at, up close and personal I didn’t think there was much resemblance. Until now. Did I know what I was looking for when I found Fancy? I think so. I think we both did. No. I didn't try to clone Ginger or memorialize her with another horse. Their natures are much different. Ginger was kind of like Sally Field in Norma Rae; short, tough, pretty but a fighter. 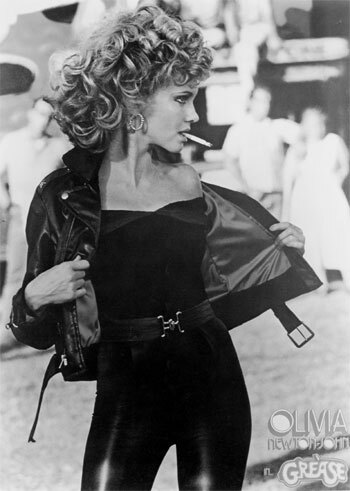 Fancy is more like Olivia Newton John in Grease. Willowy, graceful, beautiful but strong. You’d have to see the movies to understand. I think we just knew the traits we liked about Ginger and saw a glimpse of them in Fancy. We may not have even known then how close they really were, but yet so very different. I know John misses the fire he had with Ginger but on the same token, he is appreciating riding a horse that is not quite so hot and offers strength in other ways. I don’t think a ride goes by that we don’t think of Ginger and miss her terribly. But I think we made a good choice with Fancy. We once again have a pretty red mare in the pasture; nothing like her predecessor but yet so much alike in so many ways. They're both good horses. You've got a good eye for picking them out. I think in the big scheme of things we all get the horses we need at the time we need them. Ginger can never be replaced by Fancy because as you say they are both different. They do look a lot alike though. Fancy is the horse you have now and you picked her for a reason either consciously or subconsciously. It sounds like you enjoy her for who she is. Boy, is Grey Horse Matters right about that. I will also be having a pretty red mare in the barn soon. I think something is up with Kelly's horse. Something physical. So I don't want her barrel racing him until we find out what, if anything, is wrong. My good girlfriend happened to not need her red mare. So we're getting her on Kelly's birthday! In the meantime, this friend has a friend who happened to need an older bombproof horse, like my Doc. So this wonderful lady is borrowing Doc, which lightens my load, especially now that we're getting the red mare! It couldn't have worked out better. Those two photos are pretty cool, how close they are...Olivia and Sandy from those movies~ hilarious! I'm so glad you have Fancy, she's a star and gives her all.